I’m bound for the Congo in July—thanks to God and generous friends! Between 1998 and 2007, the Democratic Republic of the Congo (DRC) was ravaged by violent conflicts as tribal warlords and invading rebel armies fought over the country’s rich mineral resources needed by international corporations for the manufacturing of electronic products in cellphones, computers, and cars. Over six million people died from these conflicts and from malaria, diarrhea, pneumonia, and malnutrition brought on by war conditions. 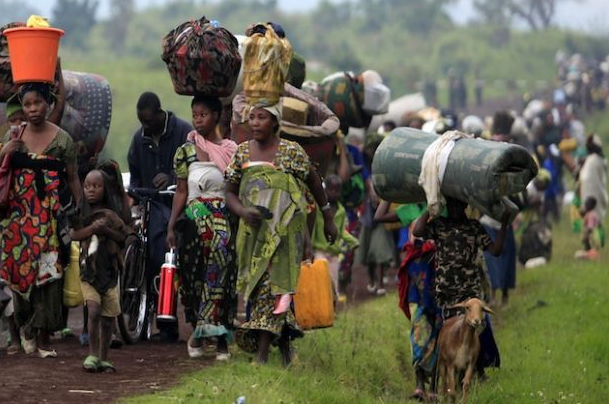 Even today there are still some 1.5 million Congolese who have been displaced or are in refugee camps. The Evangelical Church—co-pastored by Rev. James Byensi who oversees more than 1,400 churches in Central Africa—is at the forefront of efforts to rebuild communities, resolve conflicts, reconcile enemies, train pastors, teachers, and Christian leaders, and teach good governance to business owners and political leaders, especially in fighting corruption and injustice. In July—thanks to God and generous friends who donated money on my behalf—I’ll be part of a mission team that will travel to the DRC to work with the Evangelical Church to help individuals develop small businesses through training and micro financing, and by providing a variety of local leaders with advanced training in healthcare, nutrition, and K-12 education. My role will be to use my background in teaching and curriculum development to train and encourage high-school teachers trying to rebuild their school system shattered by civil war. Many of them are not much older than the disinterested pupils they are trying to teach, and some of the teachers and pupils were once forced by warlords to become child soldiers during the war. Please keep us in your prayers as we join the Evangelical Church to bring about reconciliation and rebuild the communities of Bunia and Butembo in the DRC. And please click the following link to view my photo essay on the Congo. I plan on helping you. God bless you in this ministry.